Looking To Make Some Extra Cash? Why Not Sell Your Jewellery Online? More and more of us are seeking ways to make some extra money, and one sure way to do this is to sell goods that we already have. Selling things we no longer need can free up some cash to pay bills, treat ourselves or put into the bank to save. If you're looking to do this, selling your jewellery online, is a good way to go, as materials like gold, silver and diamonds are always of high value, even considering the tough economic climate at present. Here are a few things to consider before taking the plunge. Before you go ahead and sell jewellery online there are several things that you need to know. After all, you need a basic knowledge to ensure you are selling your jewellery to a credible company and for the right price. First and foremost, you need to be aware of how jewellery is valued. With regards to metal, such as gold and silver, this is relatively easy, as in general; the bigger the karat and the weight the more it is worth. When it comes to diamonds, you will have received a certification upon the original purchase of your jewellery. This certificate will grade your diamonds based on size, cut, carat, clarity and colour and, therefore, will signify how much it is worth. Not all companies will require your certification, nevertheless, they will value your diamond based on the same principles. There are likely to be other factors which come together to determine your jewellery’s worth, and the company buying the jewellery should outline this criterion on their website. In addition to knowing about how your jewellery is valued, you also need to know about how the process works. Of course, when you decide to sell jewellery online it all depends on which website you sell through. Nevertheless, in general, there is a basic procedure which seems to be followed by most. You will find the website in question and then enter details about your jewellery in order to gain a quick and free valuation. You will then decide whether you are happy or not with the quotation given. If you are satisfied, you will send your jewellery to the company in question. A top company will offer you prepaid insured postage, and so you will wait for this package to be sent to you. Once the company has received the jewellery they will then release the funds to you. This should be done within a timely manner, with a lot of top companies promising to pay you within a mere 24 hours. Another option is to post your jewellery for sale online via a website or social media platforms. You can then use a company like DPD to package the jewellery and send it to the customer. This is ideal for those who have costume jewellery or are not happy with the valuation they have been given. Remember to read the website in question thoroughly before you commit to selling, as every company is different. Also, ensure that you read all of the small print because a lot of businesses, unfortunately, try to hide hidden costs and terms in order to catch you out. 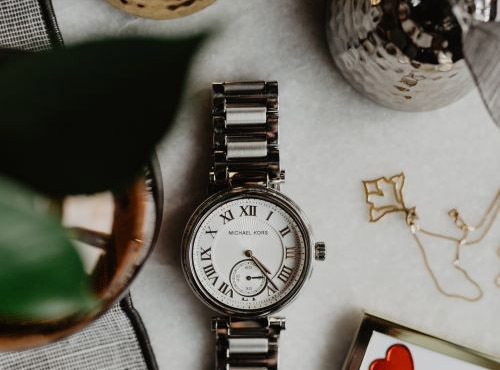 So there you have it: an insight into the two main things you need to know when you wish to sell jewellery online; how your jewellery is valued and how you actually sell it.